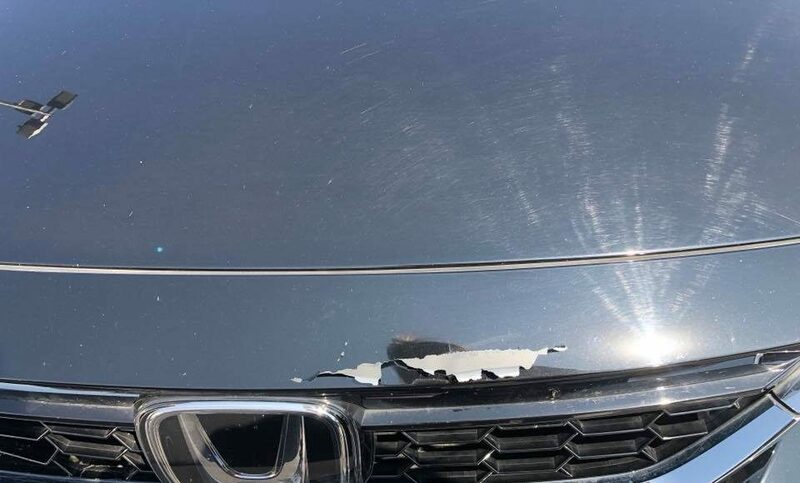 Made in Japan is synonymous with quality…except when it comes to defective Honda paint like this Clarity FCV owner shared. Honda is known for having some of the thinnest clear and base coat that makes for a paint job that’s easily damaged. 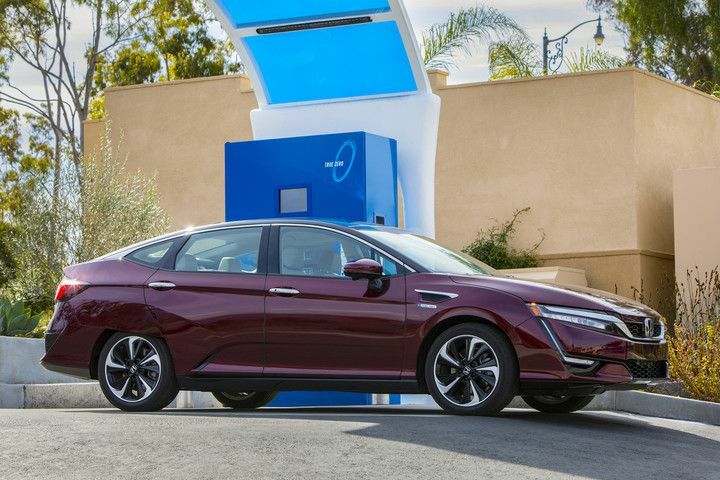 But, if you want to make a strong impression on a groundbreaking vehicle like the Honda Clarity FCV, you’d think Honda would spray on the best paint and clear they’ve got. Such is not the case. 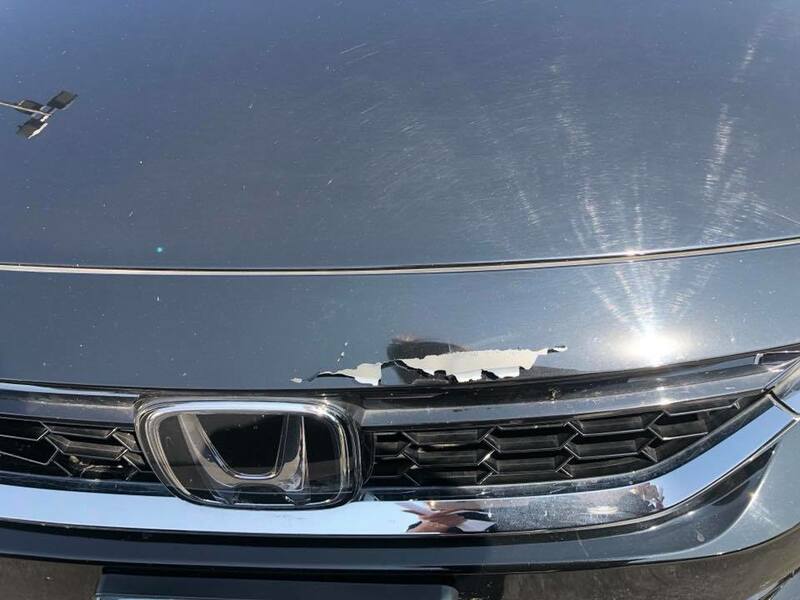 According to one particular Honda Clarity FCV leasee earlier yesterday (Aug. 17, 2018) his Honda Clarity started exhibiting paint chipping away on his hood at an unbelievable rate. Check out his chipped front end below! This isn’t a case of just the clearcoat peeling away, the entire base and clearcoat are sloughing off to show bare metal underneath. Contrary to popular belief, fuel cell vehicles are actually more efficient than internal combustion engines which means they run cooler thanks to less waste heat. So, despite my first thoughts that underhood temps were getting way out of control, that hypothesis was wrong. I asked this Clarity FCV leasee if perhaps it was due to running his car through an automated car wash multiple times a week, the bane of clear coat everywhere, and he states that he’s only ran his Clarity FCV through a machine car wash two or three times in 17 months. Being an ardent disciple of applying wax on my own personal car, even if no wax was applied to this car, the paint should be able to withstand being out in the sun for less than two years. Perhaps, then, this is a case of low-quality and soft Honda clear coat and paint after all. I assume he parked his Clarity FCV out in the sun 24 hours a day, seven days a week, and the thin Honda paint can’t handle that constant abuse. But presumably, Honda heat tests their Honda’s with multiple bakings in car-sized ovens, so there’s that. My guess is that paint quality is the least of their worries for Honda Clarity FCV owners. They’ve got a thin hydrogen infrastructure to deal with, a bigger fish to fry at the moment. Thank God this Clarity FCV leasee still has his factory warranty as this would be one expensive respray. But in the future if Honda could spare a couple of dollars with an extra-UV resistant clear coat, that’d be great for its leasees.